If you've been a reader here for a while, then you definitely know that I love custom, unique clothes for my kids. I love having something that very few others own and I love when they're so unique that we get compliments. Handmade is even better! I came across Hazel Kids on Etsy and just fell in love with her clothing items. Her fabrics are unique and the items were just different looking, but still classic. We received the Kimono Shirt and Pants in the Black cloud print in a 3-6m size for Liam. It first snaps on the inside and then wraps around and snaps on the outside. It is so so adorable on him! When I opened the outfit it was even better than I expected. This was a custom order and I didn't see how the print would look on this outfit in particular before ordering it. I just knew the style and the print. So when I opened it up I was just amazed! Loved the way the whole thing came together. I love the teal trim too, it makes this really neutral and perfect to pass down between babies. 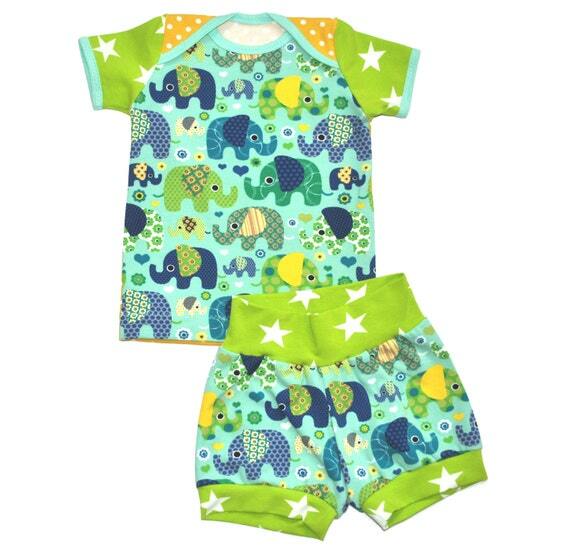 The outfit is incredibly soft, such a perfect cotton and great for babies sensitive, delicate skin. The craftsmanship is where I was really blown away though. This outfit is so professional that you can't tell if it came from a hanger or if it was handmade and that makes it amazing! You will get years out of it passed down, but you still get that feeling of knowing it's handmade. She has so many gorgeous items and is starting to come out with summer outfits too. Overall: ***** So well made! I like the baby boy shorts outfit, 6- 9m. the ELEPHANT BLUES shorts and tee set. I love the pants in the fun orange mod print! 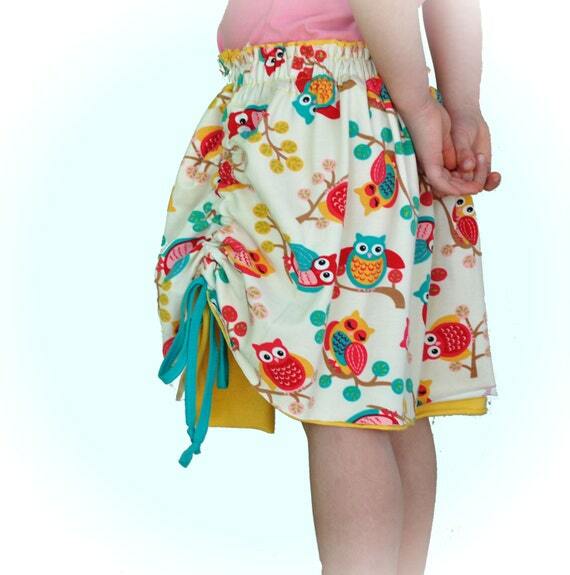 I like the baby girl bloomers, so cute... and such bright, fun prints. I like the blue monkey baby leggings, cuff pants. I like the baby leggings, cuff pants. I love the blue monkey leggings!!! I like the baby leggings, retro capris, pants - vintage floral print. So cute! I like the baby boy shorts outfit CITY CARS & STARS shorts and tee set. I love the Mod Bird print yoga pants and cuff pants! I love the raglan dress in the Darling red fox print, it is adorable! I like the baby girl shirt, long sleeve lap tee.12/ 18m. MOD BIRD L/S shirt. stretchy, soft and Sweet! I like the "baby pants, leggings. cute for boy or girl. Fun Orange Mod print, Made with European jersey knit. Stretchy knit waist band. size 2/3y." I love the orange, teal and white baby legs. I love the Long Sleeve Mod Bird lap tee - the print is so cute! I like the kimono and leggings in the Bambi print. I would love to get the baby boy shorts outfit, 9 /12m. CITY CARS & STARS shorts and tee set. I love the big girl tunic dress! I really like the baby gown/ hat set- newborn. the LUMINOUS STARS set, in lime green. I love the baby leggings with the birds on a line print! i love the baby hat in light blue clouds! baby gown/ blanket/ hat set- NB. the HAUGHTY GIRAFFE 3 piece outfit in deep pink is very very cute! I love her etsy page! I also like the raglan dress. European style .size 2/ 3. Darling red fox print! The mod bird lap tee is adorable!